10 Basic Questions about SEO & Outreach - Get Stable Rankings! Q1: What is SEO? Why use SEO tactics? SEO tactics improve the ranking of websites on search engines such as Google. People rely on these search engines find answers to their day-to-day queries. The search engine generates a list of related searches and content available online. Accessing any of this content, posts or back-links generates traffic on those sites. This SEO knowledge can be incorporated online brand marketing. For instance, a search for “modern shoes” can create a lot of new business opportunities for numerous “online modern shoes companies” by redirecting the inquirer to their homepage. There are countless other similar opportunities and advantages to utilizing SEO strategies in online marketing. Q2: What is the difference between TV and SEO based advertisement? While in a normal TV advertisement for “modern shoes” is broadcast-ed to a wider audience, yet it mostly fails to address the target audience. Often, roughly 1% of the television audience is willing to spend their bucks on the advertised item. 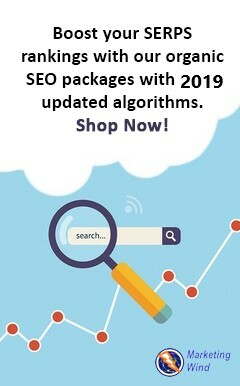 But an SEO marketing strategy is more target-orientated – only those who lookup “modern shoes” will be considered Target Audience for relevant marketing campaigns. Hence the site that turns up as the No.1 result for specific keyword search still generates a lot of revenue (despite occasional low traffic) since it is still advertising to their Target Audience – the clients who are genuinely interested in the product. So, the difference between TV and SEO advertisement lies in the target audience. Q3: Which websites are shown at the top (No. 1 Ranking)? The Google ranking is just like voting system. Typically, the person who collects the highest number of votes achieves 1st position in the ballot and wins the poll. Similarly, a website which is ranked No. 1 has the most relatable weighted Links on that search engine. Q4: What are weighted Links? RELEVANCY: The website must be relevant or related with what is the query or keyword that is typed in the Google. AUTHORITY: The authority or ranking of that website within its own field or category. It is measured by DOMAIN AUTHORITY or DA on a scale of 0 to 100. Domain Authority may be increased by increasing the Link Building. Q5: What is Link Building? Link Building is one of the key factors in determining SEO rankings. If you have successfully obtained high-quality, future-safe links from reliable websites, then your ranking is bound to go up and you will be able to generate more income from the links. To achieve this, owners of sites try to develop relationships with other prospective websites to attain links or back-links. This process of communication, for the purpose of link building, is called Outreach. Q6: What are the main issues to taken into consideration for link building outreach? RELEVANCY: The prospective site SHOULD BE be in the same category as your website or at least relevant to your outreach process. AUTHORITY: The site should be of high quality OR must have some authority (DA: Domain Authority should be more than 30). This means, you should only establish contact with relevant sites for outreach. Suppose you run a website for a restaurant. Hence, you should create dialogue with Food related blogs for outreach. Refrain from contacting shoes, clothing or other unrelated businesses otherwise it will cloud your outreach effort and link building process. Q7: How do you perform a successful outreach? As the party that hopes to attain links/backlinks, you will be tasked with conducting the outreach process. You will send outreach emails to other websites,which are relevant and have authority in their category or niche.You’ll ask them for a back-link while offering them some value for the link, such as FREE content or article – which will be unique or of high quality.The most important thing in the outreach process is that you should suggest them the topics. However, they only consider the topics and grant the backlink if they like the theme. SO, The TOPICS MUST BE RELEVANT. Why printed t-shirts can be a great advertising tool? Q9: CAN I RECOMMEND THE SAME TOPIC TO OTHERS? If the topic already exits, there are lesser chances that the blogger will write on the same blog again. Similarly, if the topic is too simple, then it will be difficult to convince the blogger to pick your topic of choice. So, the topics should be unique, highly relevant and high quality (since it offers usefulness or value to the readers). Q10: HOW TO SELECT TOPICS? 1) Title Tag – When you bring your courser near the top of the page, there will be a message displayed on the top of sidebar.For the above image, it reads “T-shirt printing, Personalized& Embroidered T-shirts & Clothing | Shirtworks”. 2) Tagline –Usually listed right under the name of the website. In this example it has been circled in red on the image, and reads “….clothing that speaks for you”. These are the two features (detailed above) that can help you determine the NICHE/CATEGORY/SUB-CATEGORY of the website. For the example given above example, the website falls under the category of “Embroidered clothing”. PART B : HOW TO FIND OUT THE TITLES FOR THIS SUB-CATEGORY WEBSITE? STEP 2: TYPE “EMBROIDERED CLOTHING” IN The SEARCH BAR AND CHECK THE RESULTS/TOPICS FOR DIFFERENT PUBLISHED ARTICLES THAT ARE SIMILAR TO YOUR IDEA. STEP 3: COMBINE ANY OF THE IDEAS TO CREATE A NEW TOPIC. If you are looking for Affordable & Quality SEO or Outreach Packages, then look no where.